Plyo boxes they come in many shapes, sizes and heights, some are solid and others firmer, but all work thew same. 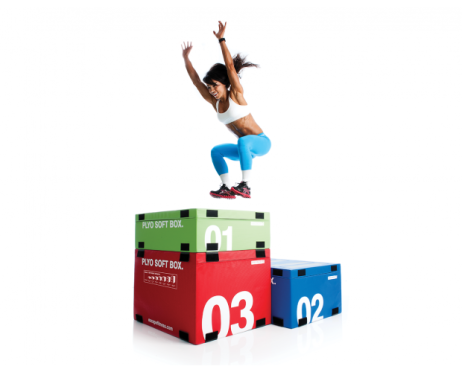 A plyo box, short for plyometrics box, is equipment that adds another element of challenge or modification to your workout routine. It’s great to use if you’re utilising your own bodyweight. Propelling yourself up on the box, even if you’re just stepping up, means you’re creating a force that you wouldn’t usually. This hollow or sometimes solid structure is used mainly for jump training. However, mix in push-ups, dips and even burpees over the box and you’ve now challenged your body. Box training hits your body in a different way, whether it’s an incline or a decline it works different muscles.You get different benefits due to the nature of the movements. While putting your feet on the box to do push-ups may make the exercise more challenging, putting your hands on the box to do the same move can actually act as a modification for those who can’t do the full movement on their own. The box helps bring your hands up to them, whether for mountain climbers, burpees or another exercise. 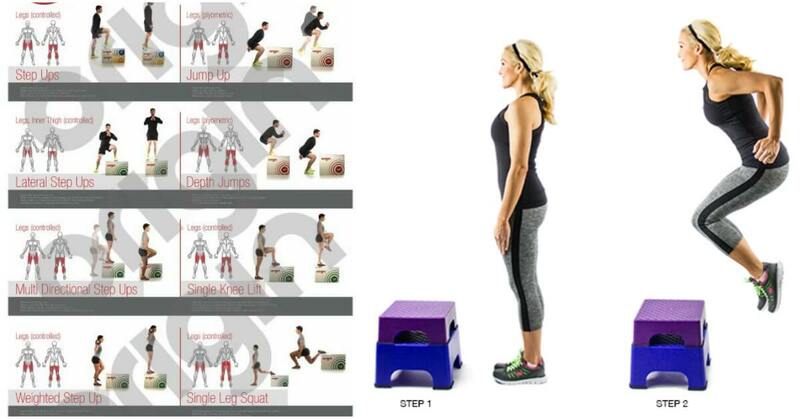 Give the plyo box a go yourself, let’s get started with the moves below. Perform the circuit three times through, resting for two minutes only after finishing a full round. Place your hands on either side of the plyo box, gripping the edges if that feels more secure. Arms fully extended, legs extended backward, so you’re in a plank, body in a straight line from head to toe. Bending at your elbows, squeeze your shoulder blades together as you lower your chest to the box . Press your back up until arms are straight again. Continue for 10 reps total. Stand behind the box, feet shoulder-width apart. 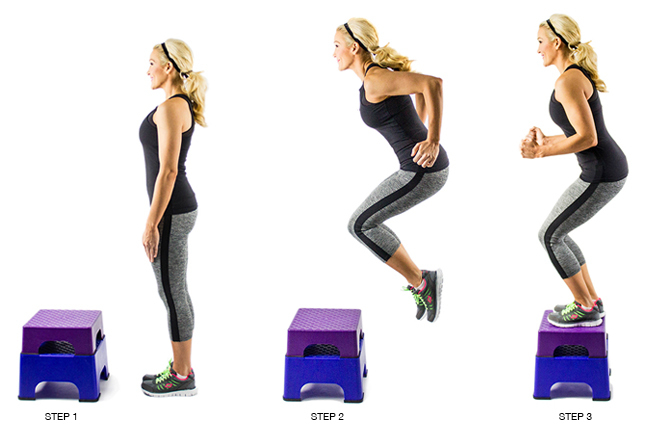 With your knees slightly bent, hop onto the box, both feet landing fully on the box, and stand up fully. Hop or step back down. Note: If you cannot jump onto the box, step up onto it, one foot at a time, and hop or step down. Stand in front of the box, facing away from it and lower down until you’re able to to place your hands on top of the box, grip it with arms fully extended. Knees should be bent at 90 degrees so your body is in reverse table top, stomach towards the ceiling. Keeping your elbows close to your body, bend your arms so your body lowers towards the ground, hovering about an inch above the floor. Extend your arms and raise your body back up. Standing with your feet shoulder width apart, place your hands on the ground and hop your legs back to plank position, at the same time lowering your whole body onto the floor. With your hands still on the ground, using your arms, hop your feet back into your body and jump up, arms overhead. Step up onto the box, then off the other side. Beginners, go for 60 seconds. Get into plank position, hands on the ground, shoulders over your hands, legs extended, body in a straight line, with feet placed on top of the box. Slowly walk your hands back towards the box, bending your legs as you go, until you can’t bend them anymore. Walk your hands back out to plank.